Located in Sanilac County with picturesque access off of M-25 (Lakeshore Road), Camp Playfair near Lexington, Michigan offers troops a uniquely different troop camping experience on 16 acres of Lake Huron shoreline. Playfair offers two winterized modern lodges (12 and 24 capacities) as well as three seasonal A-Frame lodges (12 person capacity each). There is also 1 rustic tent site (40 person capacity). Your troop can explore the camp site, plan your own activities, and cook your meals in the modern kitchens (lodges) or over a campfire (a-frames and tents). Firewood is provided with the rental, though availability may vary. Camp Playfair now has more free play areas! There are 2 Gaga Ball Pits, 2 Tether Ball courts, 1 sand volleyball court with a professional net, 1 soccer field with nets and balls which can also be used for kickball. Troops can swim in the lake with a certified lifeguard (troop provides). There is a wonderful lookout of Lake Huron. 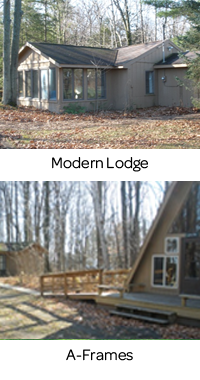 Camp Playfair is located in Lexington, MI and is open for Troop Camping every weekend from the middle of April through the middle of October. It is also available to rent weekdays during the summer. Camp Playfair is open for outside rentals. Please contact Kelly Ireland at kireland@gssem.org for details and bookings. You can make a reservation online for this property up to 15 days in advance, or use our paper registration form and mail it to the Detroit Service Center 21 days in advance. A paper registration form can be found in the "Forms" section. Payment is due in full at the time of your reservation. Refunds for cancellations are available when requested in writing (email is acceptable) up to 15 days in advance of your rental date. After this date no refunds of any amount will be issued unless cancellation is due to a documented medical emergency. A confirmation packet will be emailed to the email address you provide us during the reservation process.